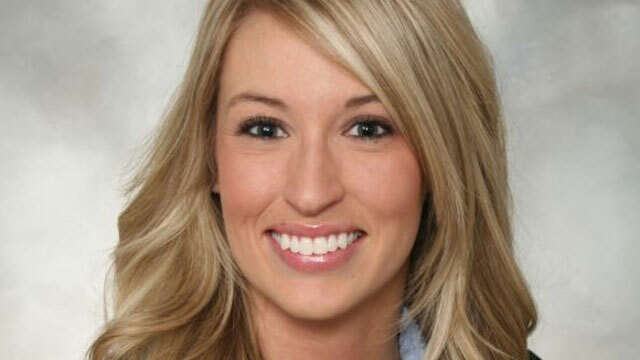 The murder of 27-year-old real estate agent Ashley Okland in a suburban Iowa model home is the latest example of rising violence in an industry that has been buffeted by the mortgage meltdown. Okland was found inside a model home in West Des Moines, Iowa, last week after being shot by an unknown assailant. The victim is one of more than a hundred in the real estate profession who have been killed on the job since the foreclosure mess began in 2008. "A real estate agent makes a living meeting a complete stranger in an empty home," says Tracey Hawkins, owner and safety product speaker at Safety and Security Source. The recent recession hasn't improved safety as agents show properties much more often to make a sale and visit rougher areas for distressed or abandoned properties. "Agents may encounter squatters, angry former homeowners or even encounter abandoned pets that may be aggressive," says Hawkins. "These properties are often meth labs, or pot houses, and encroaching upon them is dangerous." To keep agents safer, Hawkins created a program for selling foreclosed, real estate owned (REOs) and abandoned homes called Real Estate Agent Safety for Distress Properties. Social media is increasingly becoming a tool used by criminals to track their prey as agents leave a Web trail on places like Facebook and Twitter. "They announce their open houses, therefore would-be criminals know where they are," says Hawkins. Stalkers can target them at an open house or go rob their homes, thanks to the information divvied out on social media Web sites, says Hawkins. In the group that Hawkins moderates on Linkedin called The Real Estate Agent Safety Forum, the 209 members discuss violence taken from news headlines. After a real estate agent was choked and robbed in Seattle, one member posted, "I would have reached into my ankle holster, pulled out my gun and shot him. End of problem." Violence is quite a problem in the field. The real estate and rental and leasing occupation has seen an average of 75 deaths a year from 2003 to 2009, according to the Bureau of Labor and Statistics. Hawkins is seeing more agents carrying pepper spray, guns and Taser guns as safety measures. To stay safe she recommends first meeting clients at the office where others are around. "Criminals don't want witnesses," says Hawkins. She advises agents to get a copy of a client's driver's license and keep someone informed about your whereabouts at all times. "Agents must trust their instinct. If they have a bad feeling about a person or situation, instead of being politically correct, they need to listen to their bodies," says Hawkins. And, don't be afraid to call 911. "Police officers will tell you they rather come to a false call than a crime scene." Andrew VonStein, a 51-year-old real estate agent in Ohio's Portage County, was shot dead by a disgruntled client in one of the homes listed by the agent. The top agent was allegedly lured to the home by Robert W. Grigelaitis, who was upset about a sour deal that resulted in his wife losing her home. Vivian Martin, the owner of Essence Realty, was found dead in a listed home engulfed in flames in Youngstown, Ohio. The real estate agent, a colon cancer survivor who was battling liver cancer at the time, was robbed of $56 and strangled by men claiming to be home buyers. 40-year-old Sarah Anne Walker was hosting an open house at a model home in McKinney, Texas, when she was stabbed 27 times by a felon out on parole. Her alleged killer was later arrested. The body of Brenda Wilburn was found bound inside the closet at her home in Pulaski, Tenn. The real estate agent was allegedly murdered and robbed by Robert Wayne Garner, who will stand trial on August 8. 71-year-old Ann Nelson was robbed, strangled and beaten with a fireplace poker in 2008 while showing a home to a man she believed was a prospective home buyer. An Orange County real estate agent was raped and bludgeoned by a man masquerading as a prospective home buyer. The man raped the agent after finding her photo online. The agent was able to survive the brutal attack by alleged assailantShawn David Yates after pretending to be dead.